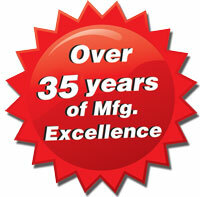 RATH® has been in the Emergency Communication business for over 35 years. In addition to exceptional product quality and customer support, we believe ongoing education is paramount to your professional development and our continuous improvement. Our product information is provided in multiple formats from written documents, videos and graphics. You will find all relevant codes for buildings, elevators, Americans with Disability Act and each state’s pool phone requirements. We offer webinars to the architectural and engineering community and some courses certified for AIA credits. Our goal is to provide relevant information to assist you in making the right decisions.